The Bible teaches us to pray without ceasing, but many Christians struggle with prayer. Is there a right way to pray? How should we address a holy God? Does prayer really change things? Even Jesus’ disciples understood there was something lacking in their prayer life after they observed Jesus in prayer. When Jesus taught His disciples to pray, He gave them a model of prayer as an example to follow in communing with God. In The Prayer of the Lord , Dr. R.C. Sproul helps us understand how to pray according to the pattern Jesus set for us. 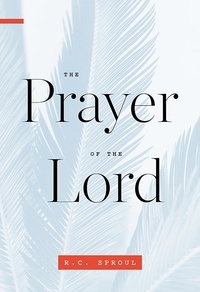 Each chapter focuses on a single line of the Lord’s Prayer, shedding light on God’s holiness and our need to humbly depend on Him. Dr. Sproul reminds us that as adopted children of God, we have an unspeakable privilege in prayer—to call upon our heavenly Father. How Should We Look To Christ In Affliction?